Erik Helms: Canon Fan? Me Too! 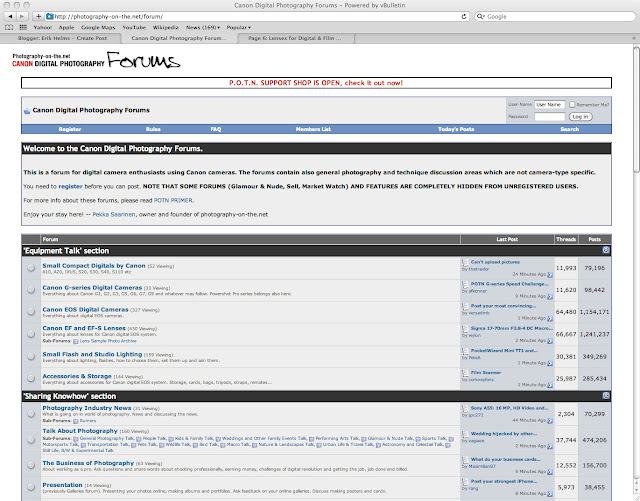 Whether you prefer Canon or not this forum is an awesome source for photographers to get feedback on images, research equipment, or even just argue with people about who is a better photographer. Photography-on-the.net is also really useful if your looking to sell any equipment or buy some. People from all over the country post their work as well. Some photographers do post some really weak stuff though, so be warned. Me and Trent Chau have been members on it for a while. Go look!